Great gifts for you, Great gifts for them. Prints are a wonderfully affordable way to enjoy art. Freshen up your home and express your personality with art prints in a variety of sizes. Whether you are buying for you or someone you care about, these prints are sure to catch the eye. All of my prints are made using archival quality pigment ink on high quality, archival paper to ensure that artwork lasts a lifetime. A conversation piece your guests will love! Your home should highlight your great taste in art! These unique pillow covers, made using images of original watercolor paintings by Yevgenia Watts, will bring joy to your eyes and are sure to become a conversation piece! My throw pillow covers are made in the USA from 100% textured polyester fabric. Individually cut and sewn by hand, they feature a double-sided print and are finished with a zipper for ease of care. Machine-washable. Are you a fine art collector? Do you want a more personal connection with the artist? Original artwork is unique, one of a kind, and gives you a true pride of ownership. Visit this page often to see what new artwork is available, and ensure that you get that original piece that you love! All original artwork is created using professional quality materials and is signed by myself, Yevgenia Watts. Each painting also comes with a signed Certificate of Authenticity, proving that you own the original artwork. 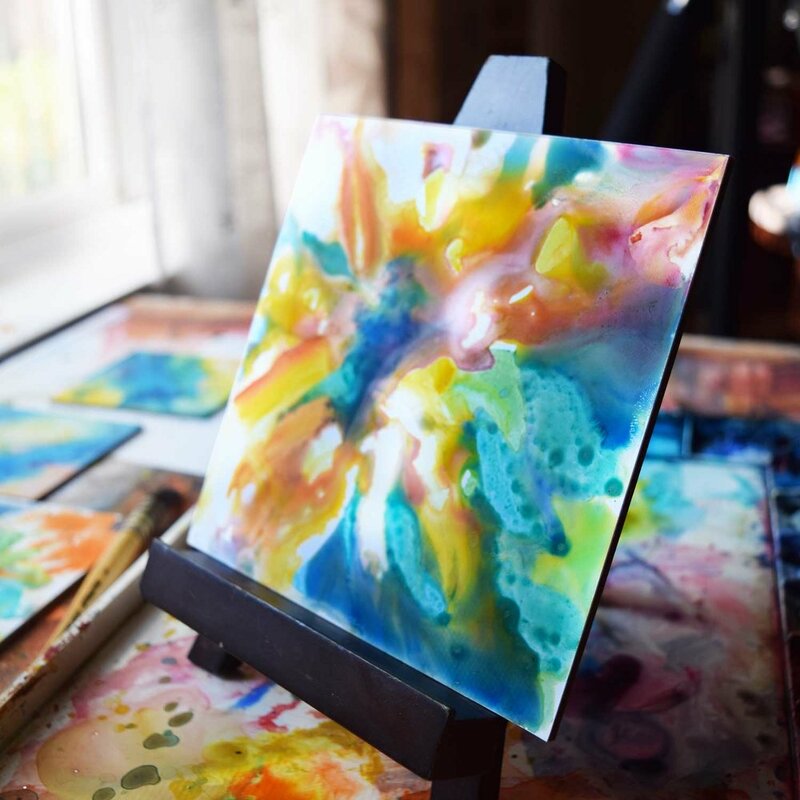 To learn more about Yevgenia Watts, her art, and her process, visit her About Page.